World Centric’s Pizza Round, the 100% tree-free, plant-based, compostable pizza container for pizza takeout/delivery restaurants. 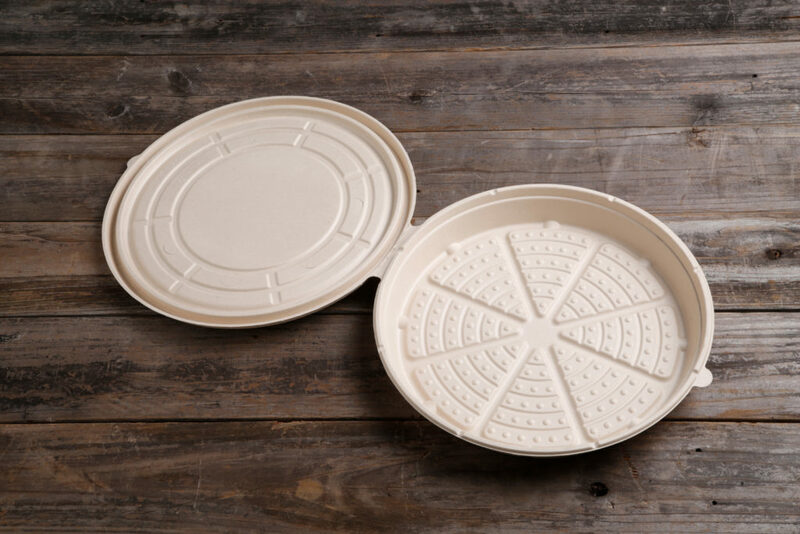 The breakthrough circular container reduces packaging waste, labor and space needs as well as grease and sogginess that are common with traditional cardboard pizza boxes. Made from 80% sugarcane and 20% bamboo – both renewable resources – the PizzaRound offers key sustainability advantages that support restaurants' efforts to minimize their environmental impact. "The PizzaRound is the future of pizza boxes," said World Pizza Champion Glenn Cybulski, who consulted World Centric on the design and tested its performance. "Takeout and delivery pizzas can now be hotter, crisper and free of the cardboard taste that often transfers to the pie in paper containers, reheated in the box they come in, and more sustainable and efficient for pizza restaurants at the same time. World Centric has reinvented everything except the pizza itself." The new PizzaRound box expands World Centric's line of plates, utensils, cups and other plant-based, certified compostable food service ware that already support restaurant operators nationwide and in Canada. These products help restaurateurs make an impact on the environment and support global giving. The PizzaRound is currently available for 12" and 14" pizzas, with a 16" size to be added later this year.